Here's a label that the FDA should require. The federal government is probably wincing right now from the after-effects of the election, but one agency deserves a robust round of applause: the Federal Trade Commission. This week, the FTC announced, in a strongly-worded report on homeopathic advertising, that homeopathic drugs should "be held to the same truth-in-advertising standards as other products claiming health benefits." Homeopathic claims are based only on theories from the 1700s that are not accepted by modern medical experts. For example, the widely-sold homeopathic product Oscillococcinum, which is nothing more than a sugar pill, says on its packaging that it "Temporarily relieves flu-like symptoms such as body aches, headache, fever, chills and fatigue." Helpful hint to potential victims customers: Oscilloco doesn't do anything of the sort. Oscilloco escapes having to prove their claims by a tiny asterisk, which (after much digging through the website) is attached to a disclaimer that '*these “Uses” have not been evaluated by the Food and Drug Administration.' Interesting how they place the word "uses" in quotation marks. That a substance that causes a symptom will, when diluted, cure that same symptom. Thus (for example) poison ivy can cure itching. These claims violate basic principles of physics, chemistry, and biology. The idea that water remembers what was in it is so confused that it's not even wrong–and it also implies that every sip of water you take "remembers" virtually every substance on the planet, although homeopaths appear not to recognize this. Yet homeopathic "drugs" are a multi-billion dollar business today; the FDA estimated that consumers spent $2.9 billion on homeopathic remedies in 2007, the last year for which they reported numbers. "There are no health conditions for which there is reliable evidence that homeopathy is effective." Despite Alan Levinovitz's concerns that warning labels won't help, I'm with the FTC here. If the FDA won't (or can't) stop homeopaths from selling their modern snake oil, at least we can slap labels on them saying they don't work. If consumers want to buy a product that the government says doesn't work, well, it's their money. *Well, they're not really lying if they include a disclaimer, are they? So I'm not really calling them liars. pills don't give you strong bones. Now we can add another supplement to the list of those that you shouldn't take: calcium. Calcium supplements are often sold on the promise that they strengthen your bones or prevent osteoporosis. Given that calcium is a major component of our bones, it seems sensible to assume that extra calcium might help strengthen them. What seems sensible, though, doesn't always turn out to be true. A large new study published recently in the Journal of the American Heart Association shows that taking supplemental calcium leads to an increased risk of heart disease, by increasing the calcification of your arteries. That's a bad outcome. The new study, led by John J.B. Anderson of UNC Chapel Hill and Erin Michos at Johns Hopkins University, looked at changes in coronary artery calcification over a 10-year period in 2,742 adults. Calcification of the arteries is strongly associated with heart attacks and other life-threatening events; basically, a calcified artery is a dangerously unhealthy artery. The study found some surprising results that seem at first to be contradictory: people who simply consumed the most calcium through their diet had a slightly lower risk of calcification of the arteries - about 27% lower than the group with the lowest amount of dietary calcium. However, people who took calcium supplements had a 22% higher risk of calcification. 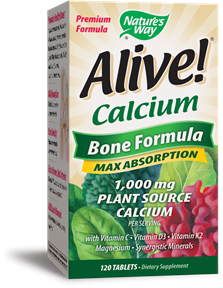 "Little of the additional calcium provided by calcium supplements, however, is incorporated in bone by adults." "Rather than promoting bone health, excess calcium from the diet and supplements is postulated to accrue in vascular tissues." So if you're concerned about osteoporosis or just general bone health, skip the pills, save your money–and protect your heart–by eating a calcium-rich diet instead.